Raster-noton.archiv für ton und nichtton (usually known as Raster-Noton) is an electronic music label based in Germany. It resulted from the fusion of two previous labels (Rastermusic and noton.archiv für ton und nichtton) in the last months of 1999. At the time of their merging, the two labels had been collaborating on releases since 1996. Rastermusic was founded by Olaf Bender and Frank Bretschneider in 1996. Their priority was to publish a series with a specific philosophy of music and sound composition: in particular, repetitive or minimal music with pop leanings. 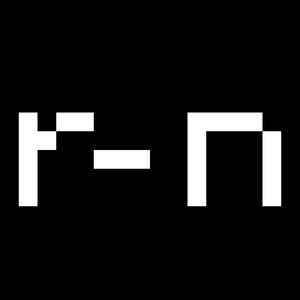 Noton.archiv für ton und nichtton was founded by Carsten Nicolai in 1996 as a platform for conceptual and experimental projects in music, art, and science. It began publishing the (still ongoing) clear series, and later developed the idea for a conceptual CD magazine. This became the 20' To 2000 series released in 1999 and 2000. Following recent 20th anniversary celebrations, the founders announced in 2017 that the Raster-Noton label will be restructured. As a matter of fact, the company has split in two: Olaf Bender will run Raster (2), which will handle Raster-Noton/Raster-Music's back catalog, and Carsten Nicolai will develop Noton (representing all past and future projects of Alva Noto). Raster-Noton has a sublabel named Kangaroo, which is reserved for releases by Ilpo Väisänen (of Pan Sonic fame). Raster-Noton also is the exclusive distributor of Ivan Pavlov's label Wavetrap. The Raster-Noton website also sells downloadable albums, many of which are available as above–CD-quality 48khz WAVs. R-N 66 (absent from the database) is the limited edition "Transall Collector's Box" to house the Transall series (Transrapid, Transvision, Transspray, and Transform). The boxes were made by hand, by German bookbinder Cornelia Ahnert.